The Mickey Mouse Ear Hats have been a tradition since before Disney World opened almost 40 years ago on Oct. 1, 1971. 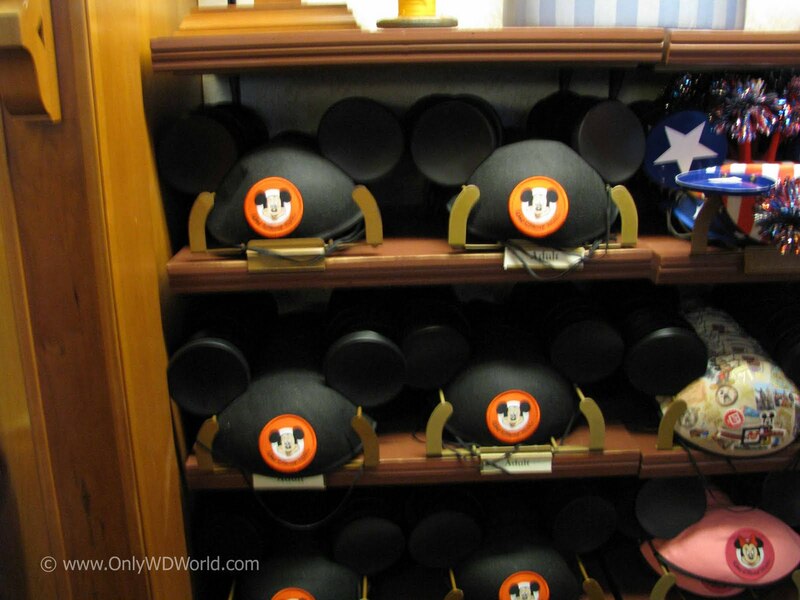 Back then it was the traditional black hat with mouse ears and the Mickey Mouse Club logo on the front. 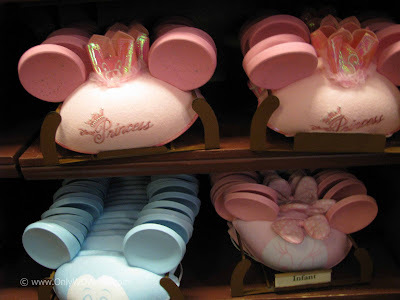 This was THE Souvenir to get when you visited the Walt Disney World Resort. Today, the variety is only limited by your imagination. 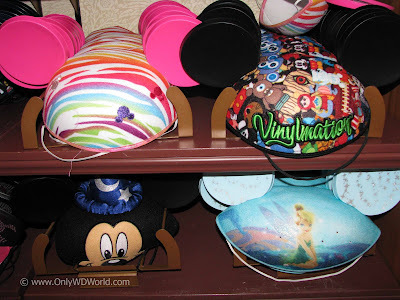 Like the Vinylmation creations that use the simple Mickey form to convey hundreds of different images, the Mickey Mouse Ear Hat has become quite the fashion statement. 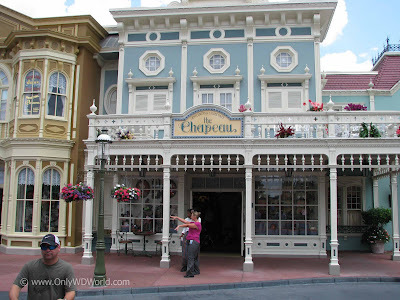 When you are visiting the Magic Kingdom, the best place to find your own Mickey Mouse Ear Hat would be on the right side of Main St. as you enter the park at a store aptly named The Chapeau. Here you will discover an amazing assortment of Mickey Mouse Ear Hats. 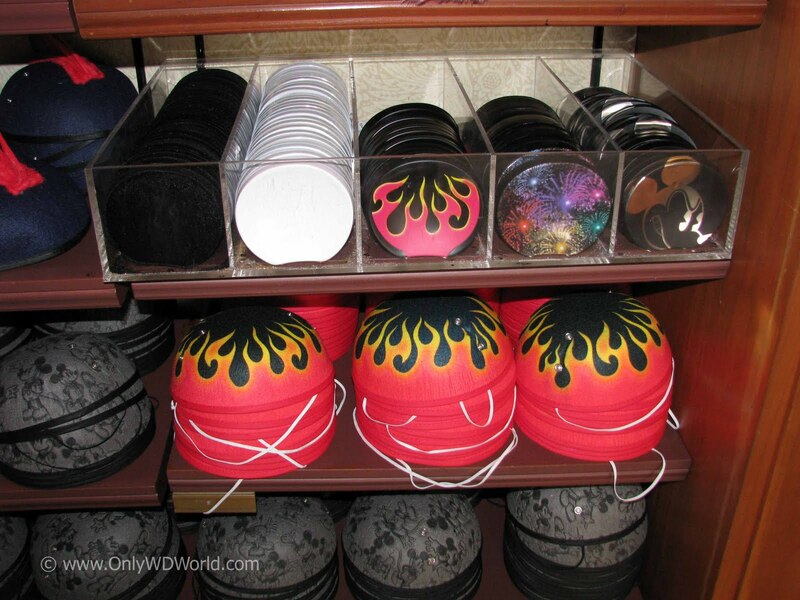 You are sure to find one that fits your personal style. Don't let the small size of the store fool you. It is packed with a variety of hats for you to check out. The mouse ear hats are their specialty. 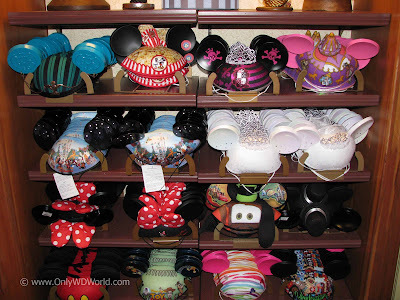 In the above picture you see a particularly patriotic mouse ear hat, one to proclaim that you are a Disney Princess and another to celebrate the 40th Anniversary of Disney World. Pirate mouse ear hats are very popular for both boys and girls (of all ages). 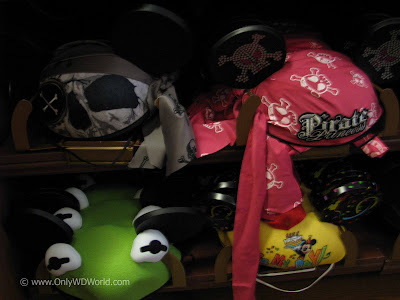 For Muppet fans there is a Kermit mouse ear hat for you! 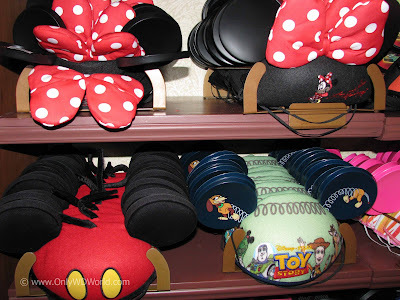 Minnie & Mickey Mouse themed mouse ear hats still remain very popular and Toy Story fans will be glad to see hats designed for them. 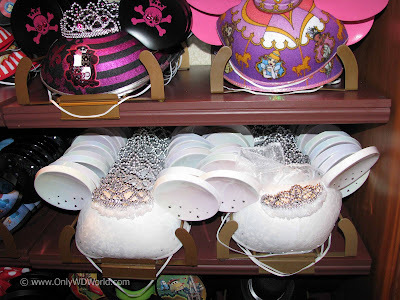 For Haunted Mansion fans there is a hat for you too! There are also more off the wall hats, like the Popcorn themed ones shown above. Sorcerer Mickey, Tinkerbell, and Vinylmation themed mouse ear hats are also available. 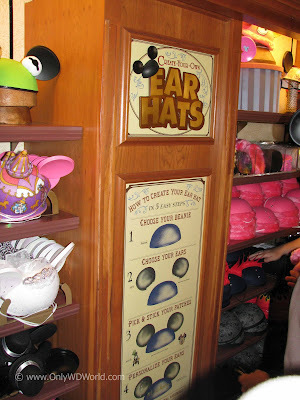 If there aren't enough designs for you there is also the ability to "Create Your Own Ear Hat." 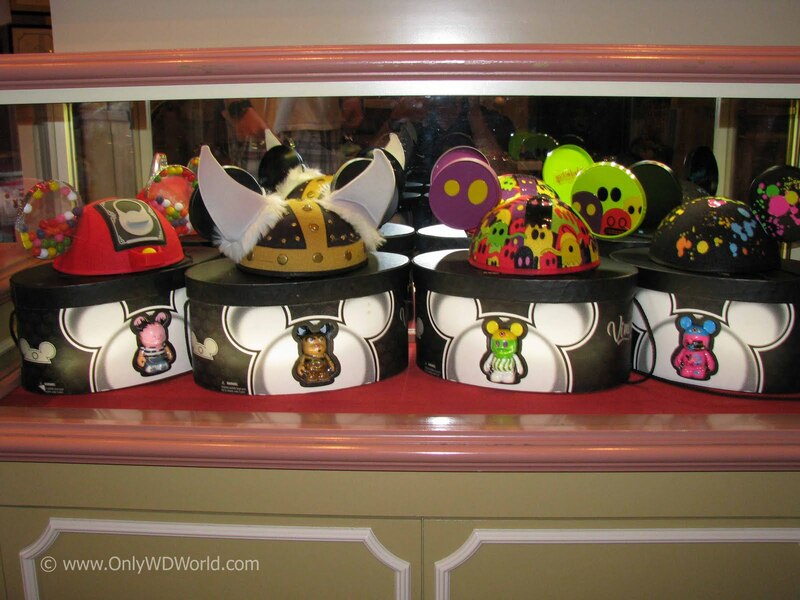 You choose the beanie, the ears, patches for the ears, and you can personalize it further if you wish. There truly is something for everyone. 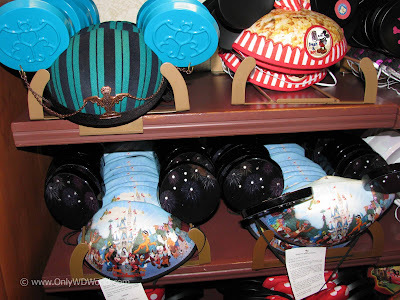 Not far away from The Chapeau at the Main Street Gallery store is a case with Vinylmation and the specially designed Mouse Ear hats to match. 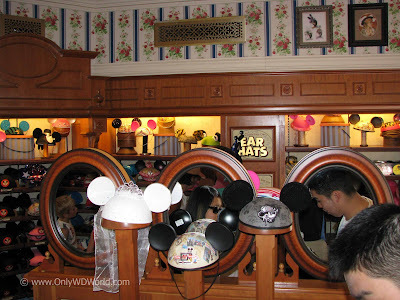 The original mouse ear hat that you used to equate with the Mouseketeers from the TV show over 50 years ago still has a home at the Walt Disney World Resort. It has become a fashion accessory with designs set to appeal to everyone, young and old. Stay in touch with your inner child and consider picking up a mouse ear hat to match your mood during your next Disney World Vacation. 4 comments to "Not The Same Old Mickey Mouse Ear Hats At Disney World"
Hats are really super cool. 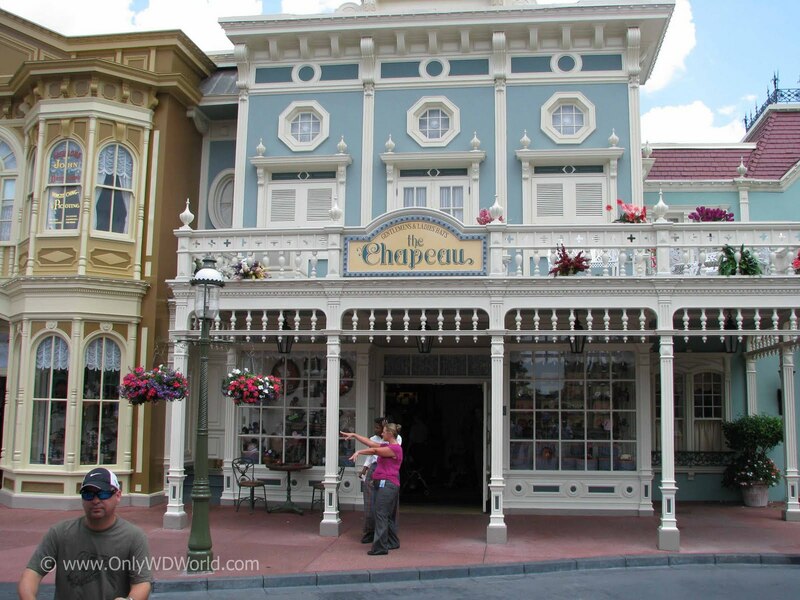 Kids will be very delighted when they will visit this place. Kids are looking pretty.I also like this hates. 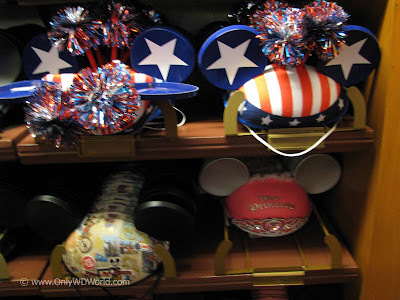 Are the Patriotic ones to be found year round? About how much are ear hats now?